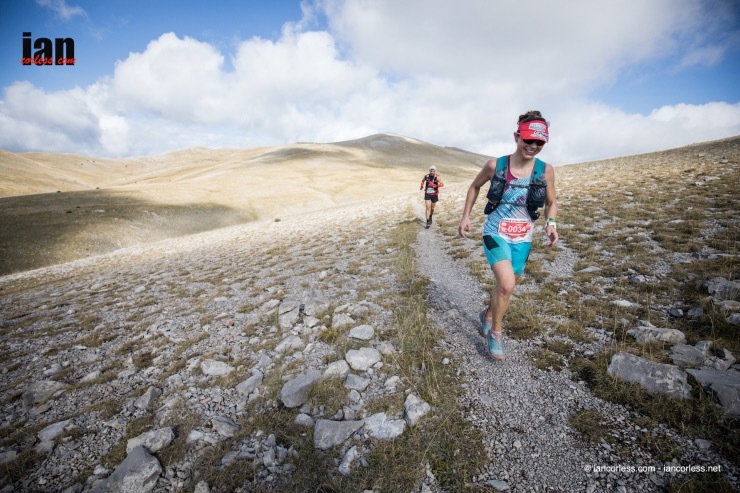 Ultra Pirineu 110km in the Pyrenees mountains of Spain was the final for the 2016 Skyrunner Ultra World Series. The race took place on September 24th and included an outstanding field of international athletes, many trying to secure a podium slot as the Skyrunner series world champion. “Maybe we can ask for some hot water or something? Have you tried to eat?”My sweet roommate kindly tries to come up with solutions with her lovely French accent while I inadverdently keep her up all night with my post-race problems. I just finished the Ultra Pirineu 110km, the final in the 2016 Skyrunning World Series in Bagà, Spain. The last piece of a wild vision I conjured up during the winter of 2015 after finishing 4th in the 2015 World Series: to complete the series along with the Skyrunning World Championships. It is 3AM, and I have a deep, hacking, curdling cough that feels like having a plastic shopping bag lodged in my upper bronchials. We are in a hotel with walls so thin every time someone opens a door it could wake up everyone on the floor, and I can’t stop tossing and turning on my squeaky mattress which may actually be a box spring. So I lay on the cool bathroom floor trying to decide if I can move. My hands are so swollen I can’t close my fingers and my legs won’t bend. I feel like it is possible I may soon die of kidney failure in a foreign country. And I never, ever, want to run an ultra, ever, again. I feel a mixture of embarrassment for my roommate, dread for keeping awake our next door neighbors: Meghan Hicks and Hillary Allen, and shame for worrying my husband via text about my condition even though he is nine hours away on the other side of the ocean. 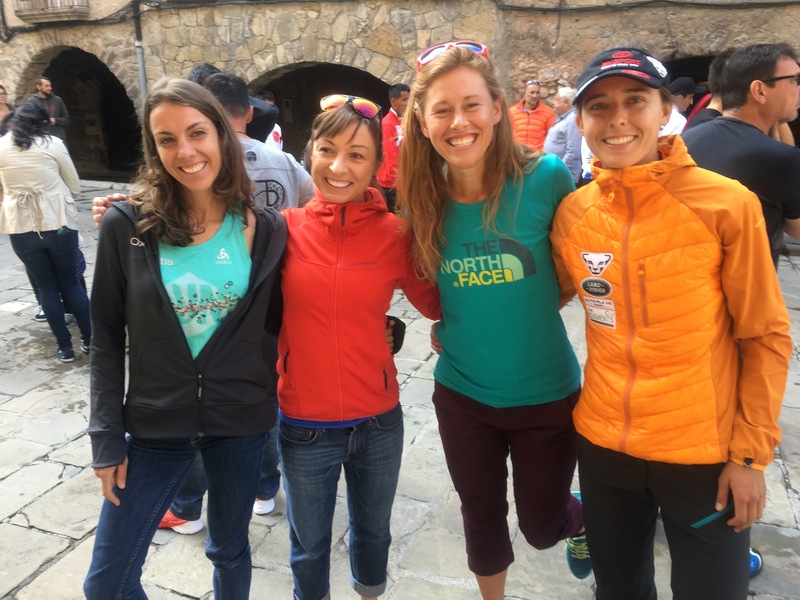 My mind wanders to the day before when I told Meghan for a pre-race iRunFar interview how great it is to travel and run in faraway mountains, how everyone should do it, and what else could go wrong this year, “everything already has, right? !” Wrong: Dying in a foreign country wasn’t even on my radar. The truth is I was ambitious this year, with too many races planned, and I pushed my body into a red zone where I hadn’t been since I fought forest fires. Maybe I did this on purpose, with the curiousity of someone pushing the gas pedal down just to see the speedometer max out. In 2015, I told La Sportiva in an interview that I was pleased to take second in the US Skyrunner national series after not racing the final due to injury because my health wasn’t worth money or points. Fact: I said that. “Why did you even choose to finish?” my roommate inquires sincerely. She is a freelance journalist for a French magazine concerned with experiences, not just winning times, and I like that she referenced it as a choice. I usually do not think of finishing as a choice. Prior to the race, we spoke about the finishing mindset of athletes. She recalled a streak of several American elite male runners dropping out of the Ultra Trail du Mont Blanc (UTMB) in Chamonix. UTMB is perhaps the most publicized and competitive ultra in France. A race that can make a reputation for an entire career for a professional athlete. She explained, “In France we think, maybe this is what the Americans do, they drop out?” Her tone wasn’t clearly a question or a statement but I chose not to counter-point. “The Americans who drop out” crossed my mind during Ultra Pirineu at least twice, and I thought sincerely about quitting anyway. My lows started early, less than four hours into the race, and persistently got lower as I gave up third to assume fifth for the rest of the race. I started the first 6000-foot climb tired and conservatively, and until ten hours into the run, I was within a half hour of the lead. But by then I was only focused on finishing. My body was telling me: “Stop! Listen, this isn’t worth it.” But my mind was reeling, “Keep going! It’s only 23 miles and 7000 feet of gain between you and a bed.” The next five-hour section took me seven hours to complete. In a horrific, dizzying downward spiral after sunset, I stumbled my way through the last sections praying to God I would make it back to Bagà safely. Photo by Ian Corless for Skyrunning. Click here for more images and a recap of the race by Ian. After 17 hours of sickness, pain, and resolution that I would never ever run an ultra ever again, I staggered into Bagà in a semi-lucid stupor nearly two hours after my projected time. Meghan dutifully stood at the end of the finisher chute, and I was acutely grateful to see someone I knew speaking English. In Spain, there is no medical check. No one weighs you or checks your alertness at aid stations to make sure you’re safe, they only check to ensure you are carrying the required safety equipment. This feels freeing when you are healthy but when you devolve, Catalan becomes increasingly confusing and the whirling of thoughts starts to feel like a nightmare. Somehow, seeing someone I knew pointing me to the hotel was stabilizing. “Yes, yes. Definitely.” I humbly agree. After eight hours of trying not to keep the hotel awake, I can sip water again. We lie on our backs on the flimsy mattresses and talk softly about life and the meaning of accomplishment. It is not always necessary to put your health, joy of competing, or financial security into enormous jeopardy to see your dreams come true. But sometimes it is, and if that is what is required, I believe it is important to go for it! Accept yourself and your passions. Don’t be afraid to have crazy dreams and to follow them through to fruition no matter what it looks like to others. Only three people get to stand on a podium but over a thousand fantastic stories come to life after the same race. 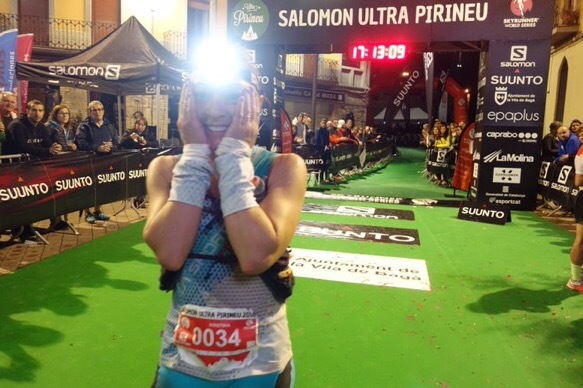 Kristina Pattison finished fifth at the Ultra Pirineu 110km and fifth in the 2016 Skyrunning Ultra World Series. She was also third in the Skyrunning National Series for Spain, Andorra and Portugal. Kristina runs for the La Sportiva Mountain Running Team with support from Feetures socks, Julbo USA eyewear, Hammer Nutrition, Missoula Bone & Joint Surgery Center, and Ultimate Direction hydration systems. Thanks so much and for your concern! It was a good experience I will always remember. Time to rest for a long time!